Originally published on October 2, 2013. 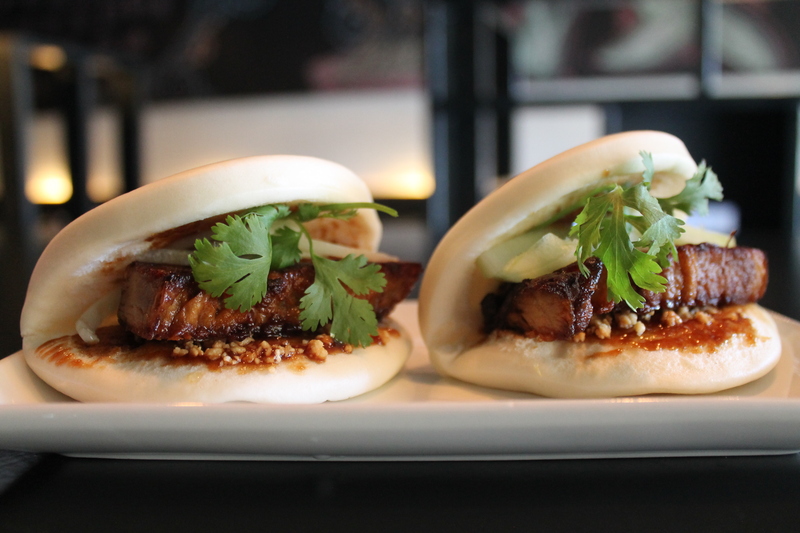 The first items arriving to our table from Bistro Han’s kitchen were the braised pork belly steamed buns ($5). Two to an order, perched on a small plate, these were fit-in-the-palm-of-your-hand-sized sandwiches: thick slabs of browned pork encased in snowy, white dough. The pork belly and the belly of the bun were painted lightly with hoisin sauce and topped with scallions and shards of peanuts. A burst of flavors and senses exploded with the first bite: Wonder Bread softness; unctuous and fatty pork; caramelized sweetness; sharp oniony greenness; salty, peanuty crunch. Conversation at the table halted. These were too good for us to keep talking, too good not to focus all our attention on the food.